Working on a construction sites can be dangerous. The most common injuries are due to lifting; the most serious are usually due to falls. Working on steel beams, scaffolding, and around heavy equipment make construction accidents all too common. In years past, there was also a risk of asbestos exposure in the workplace at construction sites. 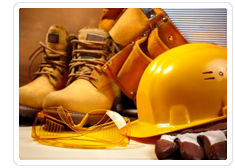 Most workers know that when they are injured at a construction site, they have a workers compensation claim. Workers’ compensation is a no-fault system of benefits for people with job-related injuries or diseases. Most every worker in California is covered by workers’ compensation. Sometimes we find that a responsible employer has no insurance. When this happens, California law permits us to prosecute the uninsured employer in a separate lawsuit. But the analysis doesn't stop with workers compensation. With any construction injury, one must also look at whether or not there is a “ third-party” case. A third-party case is a case against any company other than your employer. Typically, it will be against a general contractor, the manufacturer of a product or a premises owner. We have handled hundreds of such claims against contractors, manufacturers and premises defendants. We have been helping workers from around the bay area for more than 20 years and we are experienced trial attorneys who can help you if you have been involved in a construction or workplace incident in California. 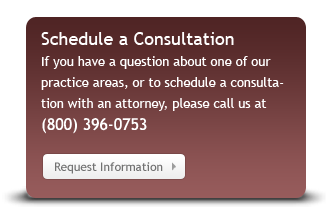 We are prepared to consult with you, risk-free, to explore the possible avenues of recovery for you and your family. Contact us today to put our experience to work for you. We represent clients who have suffered personal injuries as the result of construction site accidents in California including the San Francisco Bay Area, Oakland, San Jose, Sacramento, Los Angeles and other California communities.